I've been sketching nature and wildlife for the past month in my Draw Something series. 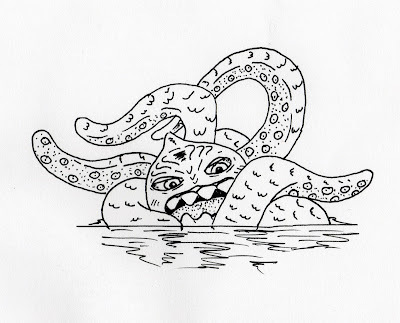 This week, I'm keeping my subject in the realm of the wild, but depicting a creature slightly more fantastical. 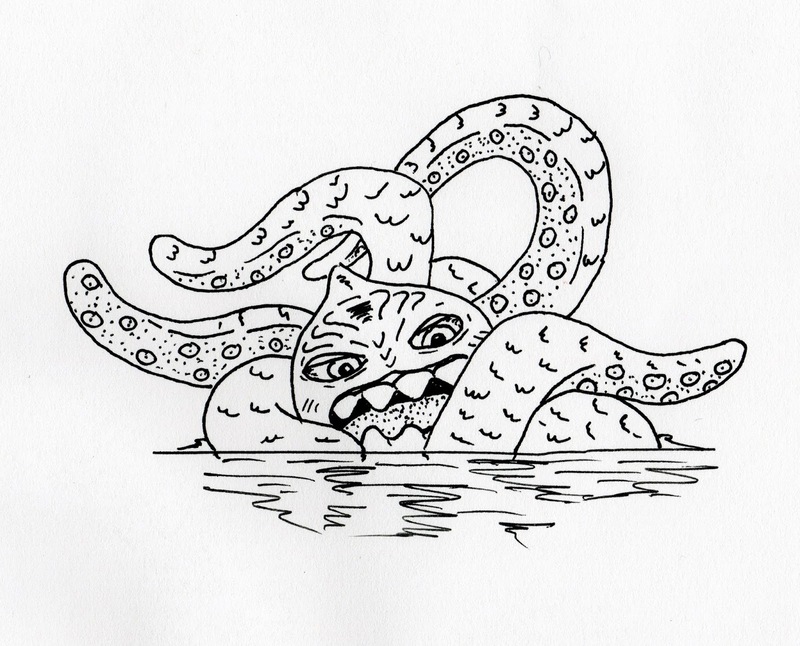 I took a bit of inspiration from the Kraken featured in the classic '90s 'Monster in My Pocket' toy series.